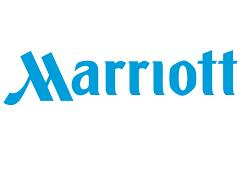 With more than 3,700 hotels in 74 countries, Marriott has something for every type of traveler, and prices to match. Non Cash Back Rates include: rooms offered at specially negotiated rates. (e.g., government/military rates, corporate rates, group/conference rates, employee rates, Marriott employee rate; some Marriott Rewards promotional rates, redeemed Marriott Rewards points; some promotional rates set by property).